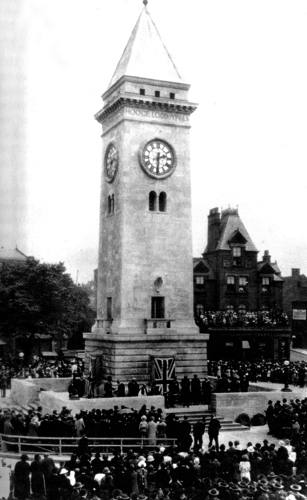 The memorial was officially opened and dedicated on Thursday the 20th August 1925 at 2.30pm (a Thursday being chosen as it was half day closing for the shops and also many of the factories closed as well to mark the occasion). In the picture on the right the dedicatory tablet has just been unveiled from behind the Union Flag by Lieutenant General Sir Charles Harrington, GBE, KCB, DSO (General Officer Commanding – Northern Command), and dedicated by Lionel Payne Crawfurd, the Bishop of Stafford. 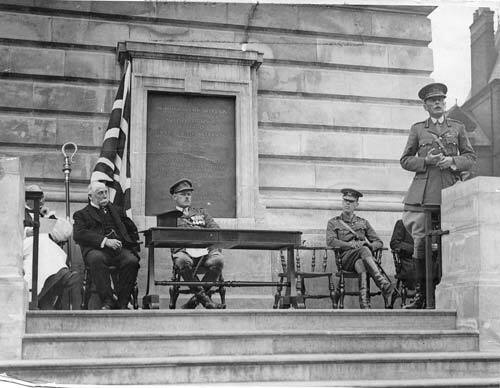 The ceremony was presided over by Lt Colonel Arthur Falkner Nicholson (seated behind the desk – he was known as Falkner Nicholson and his middle name of Falkner was his mothers maiden name). The other surviving brother, Lt Col Malcolm Nicholson, was also present. During the ceremony the two memorial tablets listing the fallen of WW1 were unveiled by Frank Prime and Cyril Plant (Cyril was later killed during WW2 whilst serving with the Royal Navy), two boy scouts who had both lost fathers during the war. Sir Arthur Nicholson and his wife Lady Marianne Nicholson presented the memorial to the town in memory of their son Lieutenant Basil Lee Nicholson (who was killed in action at Ypres, Belgium, in 1915, at the age of 24) and all the other local men who died fighting in the First World War. During the ceremony, the Deeds to the land and building were handed over to the Trustees of the Leek Town Lands and the Leek Urban District Council who agreed to take on the upkeep of the memorial on behalf of the people of Leek. Since their formation in 1974, Leek Town Council have remained responsible for the memorial’s maintenance to this day. The architects Thomas Worthington & Sons of Manchester designed the memorial, which is clad with Portland Stone around a red brick inner core. The Birmingham Guild of Artists designed the dedicatory and memorial tablets. 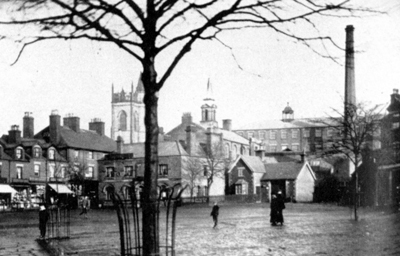 It was constructed by Messrs E & A Frith of Macclesfield and Mr Thomas Grace of Leek at a cost of £16,000.00. 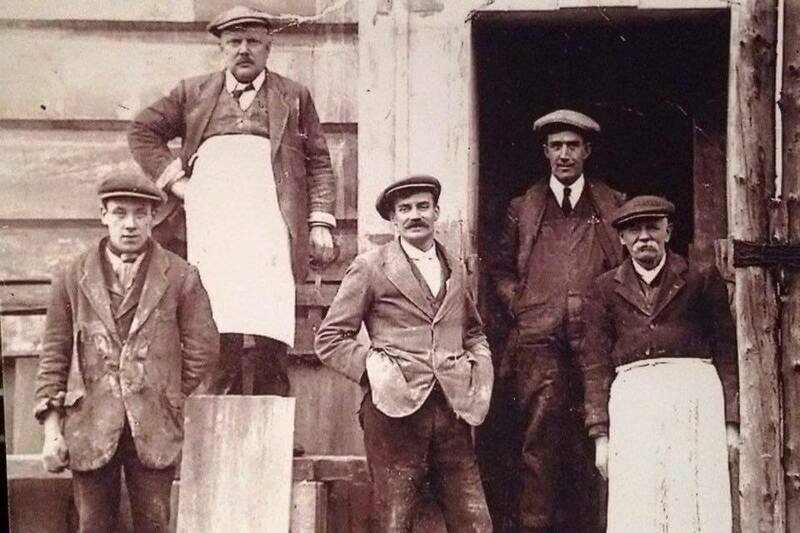 Mr Hart of Salford was the blacksmith responsible for making the iron work. 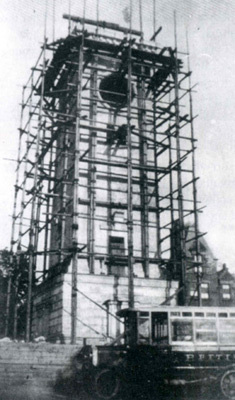 The clock mechanism and bells were made by Gents of Leicester. Each of the four clock faces are 2.06 meters in diameter, and the five bells weigh 1,270 kilogrammes. The memorial bears the names of 535 men and women of Leek and the surrounding area who died in the First and Second World Wars and shortly afterwards whilst still in the service of the Crown. The World War One names were collected by Mrs Horace Wardle and every care was taken to collect all the names, with lists being on display for several weeks and several local advertisements in the press. The names of the battles surrounding the top of the memorial are those of the 46th (North Midland) Division of which the Old Leek Battery and the Territorial 1/5th and 1/6th Battalions of the North and South Staffordshire Regiments were a part and hence where some of the men of Leek saw action and also died. Sparrow Park – on which the Memorial was built and location of the Cattle Market.